Most tutors will expect students to write a compare and contrast essay. However, some students don’t know how to start compare and contrast essay. The best starting point is identifying the right topic. You can get thousands of essays topic for students online. However, this article presents the best compare and contrast essay topics. You can choose one depending on your field of study and personal interests. The task of comparing and contrasting phenomena can be a challenging one. However, you can get a breakthrough by choosing easy topics for compare and contrast essays. One of the factors that render a topic easy is the availability of data. Here are some of the topic suggestions that fall under this category. You need to be very careful as you choose a compare and contrast essay. As a high school student, you should not choose a topic that is complicated because you may become stuck along the way. Here are some of the recommended compare and contrast essay examples for high school students. Compare Rock Music in the Contemporary and Traditional World. The kind of compare and contrast essay topic you choose should always depict your level of learning. Below you will find a list of 10 sixth grade compare and contrast essay example topics. You can choose any topic outside this as long as it portrays the same level of technicalities. As a college student, you cannot choose a compare and contrast essay topic that is meant for high school students. 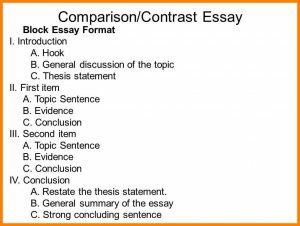 Some suggestions of college students compare and contrast essay topics are listed below. You can deny yourself some marks by choosing a very simple topic for this assignment. Looking at the Food Learners Get at College and High School. Are Advanced Placement Classes Worse or Better Than Honors Classes? There is so many things in the world that you can compare and contrast. These can be historical occurrences or even physical objects. This section presents a set of ten things that can generate excellent compare and contrast essays. The world has got so many people who have made a lot of influence whether positively or negatively. We provide a list of such individuals that can form an excellent basis for compare and contrast essays. You need to carry out an in-depth research as you handle any of these topics. Obama and Putin: Differences in the Economic and Political Regimes of These Two Presidents. Joseph Stalin and Adolph Hitler: Understanding the Similarities and Differences Between the Two Opposing Public Figures. Episodes of the 1970’s or Start Wars Modern Episodes: Comparing Habits, Sound Effects, Music, Visual Effects, Plot, Actors, and Graphics Among Others. Politics is an amazing field that has several controversies. You can compare and contrast political leaders themselves or the ideologies they represent. The list below represents political science compare and contrast essay. Middle school topics for compare and contrast essays should not be too complicated. There is an ideal example of such topics below. The student can handle more complicated subject matters as they head to high school and even college education. How Does It Feel to Watch Your Favorite Movie at Home at Watching in a Cinema? There are so many compare and contrast topics that have gone viral in academia. However, you can always find something new to write about and this will significantly increase your score. The worst mistake you can do is replicating what has already been studied. Here are some examples of these topics. You now have a total of 101 compare and contrast essay topics that can guide your study. The most important thing is to choose one that you can work on with a lot of ease. Make sure you talk to your lecturer and fellow students before you choose one. However, you can get online assistance from our services when it comes to writing compare and contrast essays. You can use the product as a guide to work on your personal essay. The most important thing is to make sure that you score highly in this assignment. If you want to see more topics, be sure to check My Homework Done.